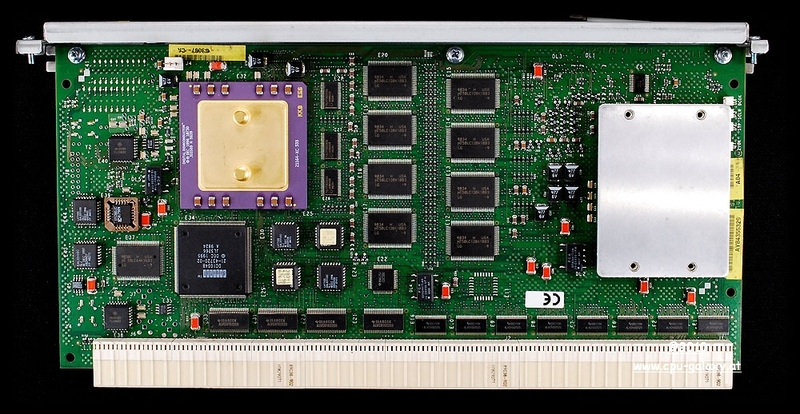 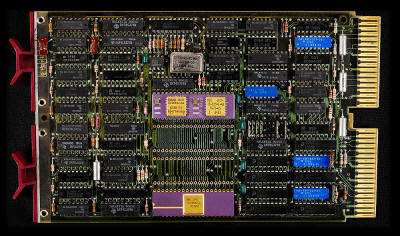 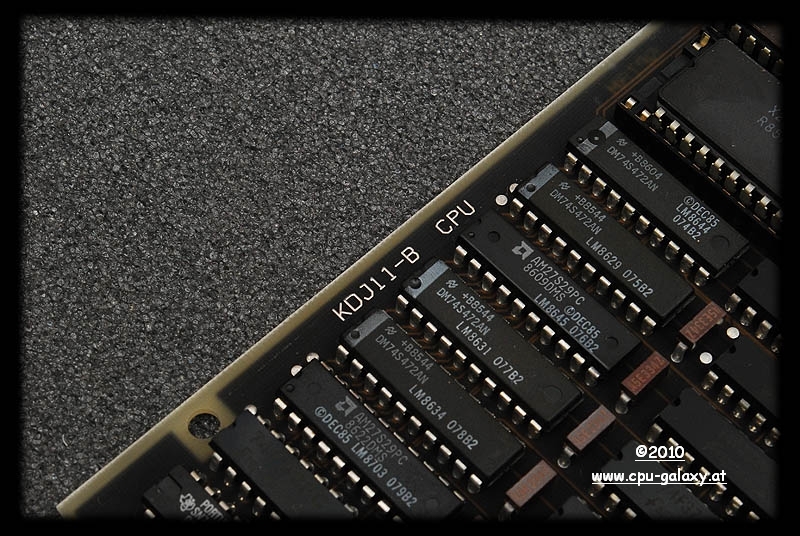 This PDP-11/84 CPU, M8190 or KDJ11-BF (1985), microprocessor-based J-11, was a high-end PDP, which supported advanced solutions such as memory cache (mounted on same card), the FPU on board and memory interconnect system, a communication channel between high-speed CPU and memory. 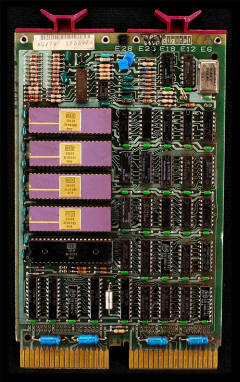 The J-11 (1983) was essentially an implementation of the microprocessor in the form of PDP 11/70, with support for SMP and cache memory. 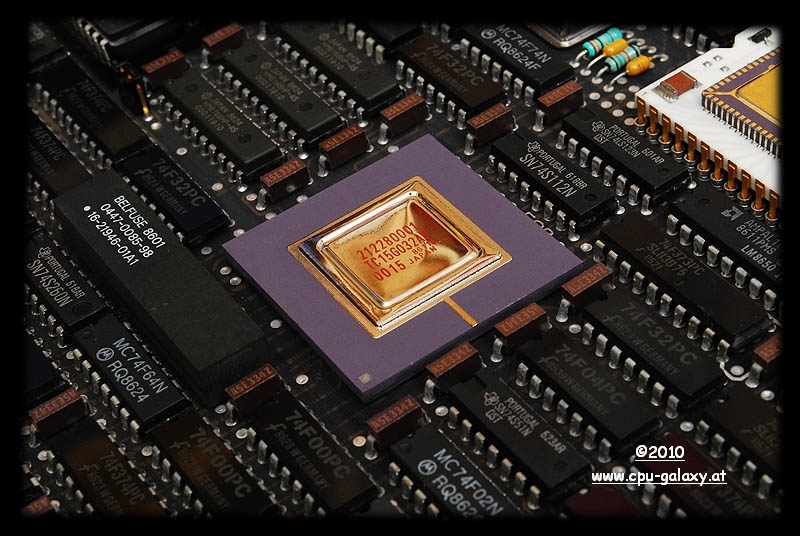 The execution of floating point instructions can be accelerated by adding an optional FPU. Like its predecessor F-11. 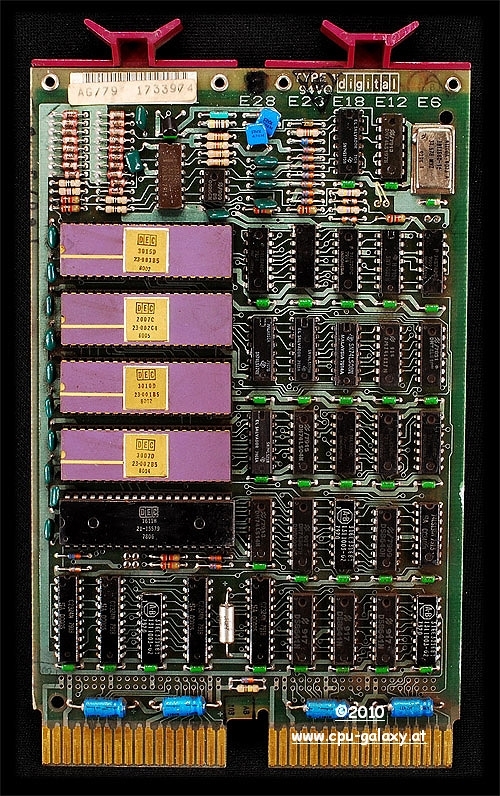 The J-11 also supported the instruction set "commercial" CIS (by adding a special microcode ROM). 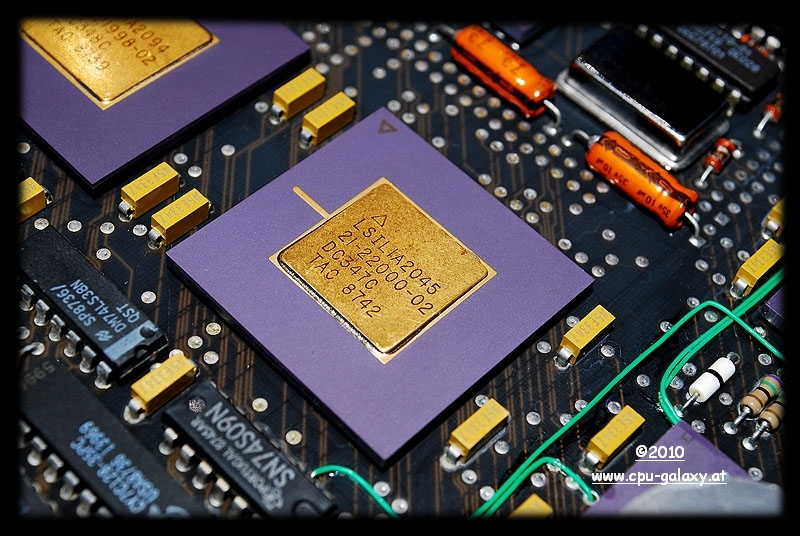 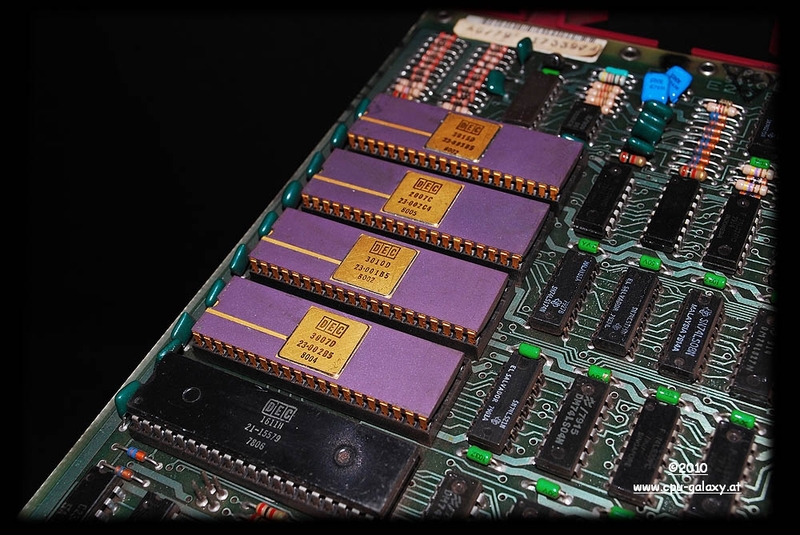 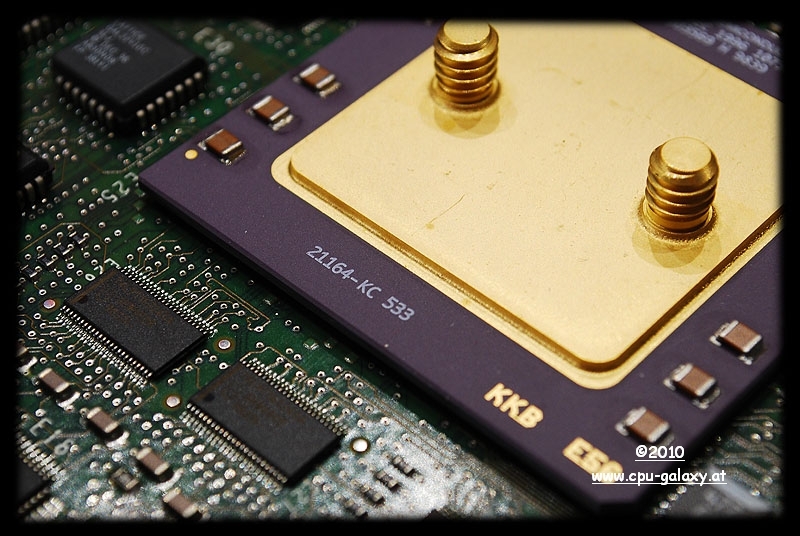 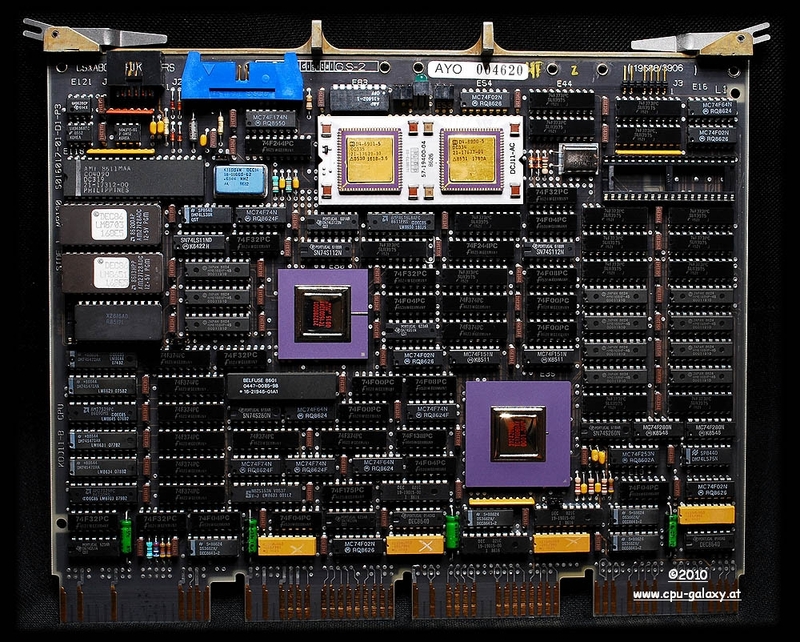 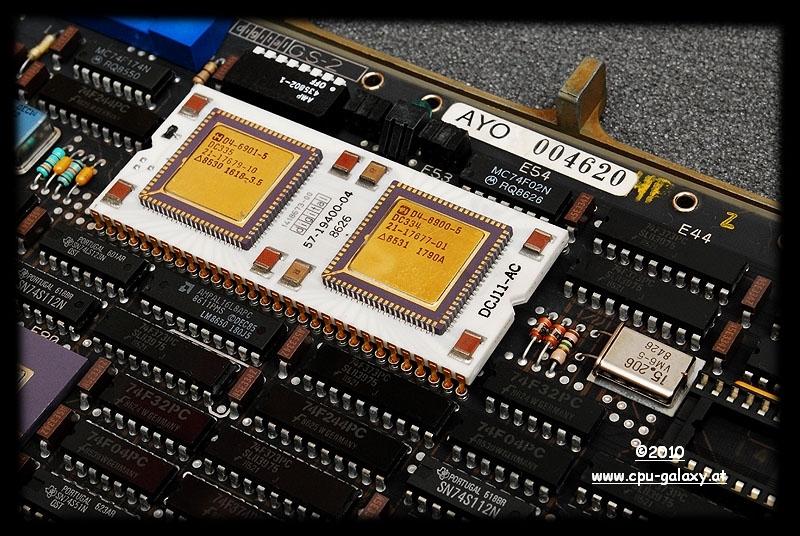 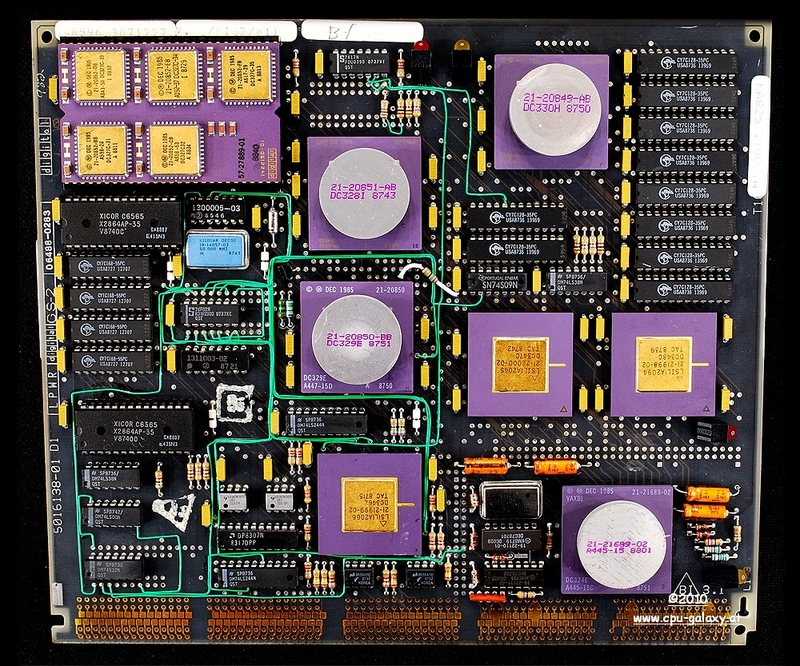 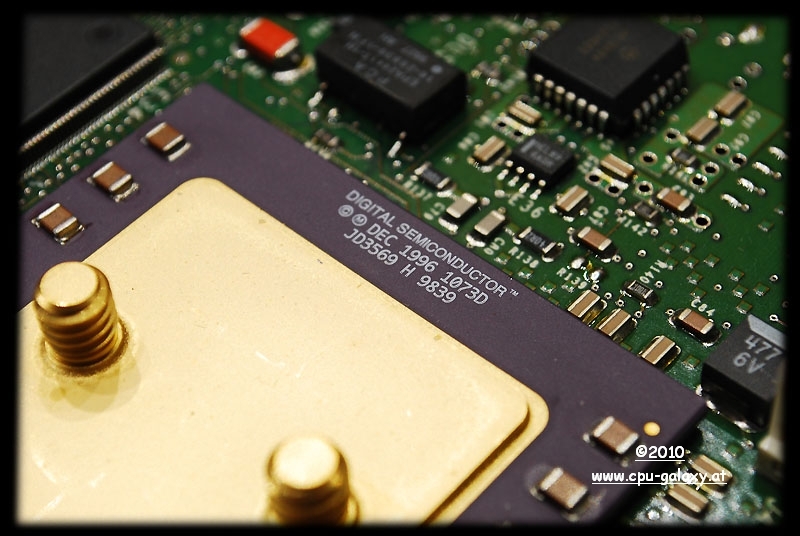 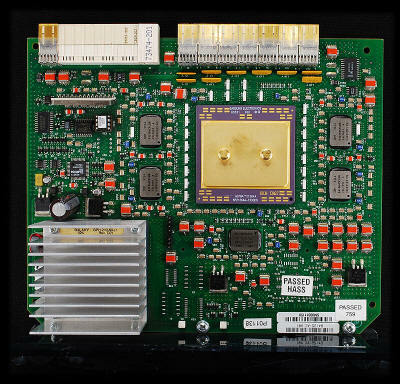 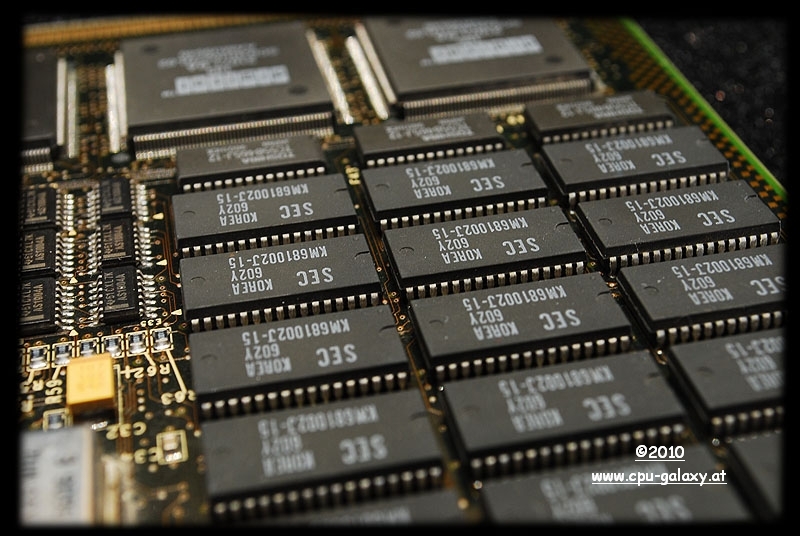 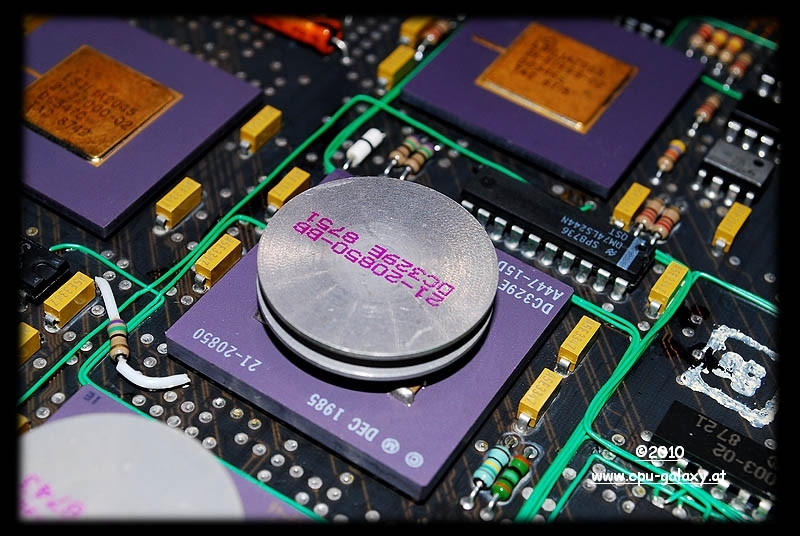 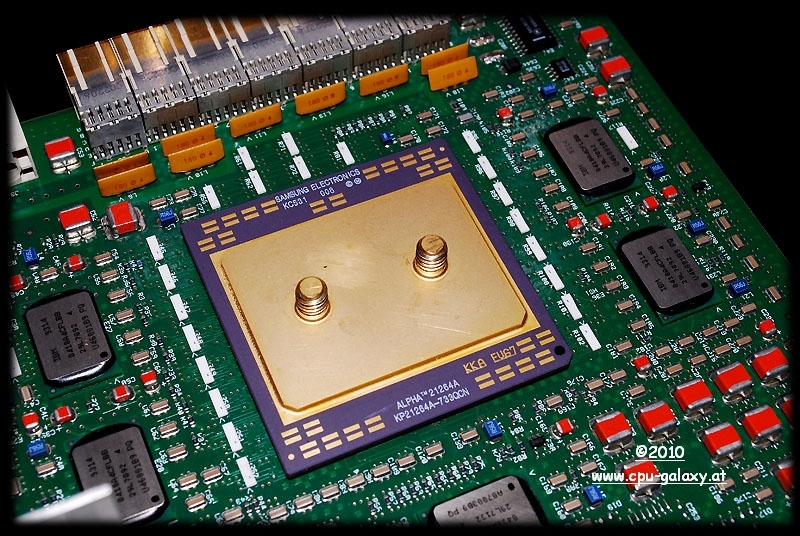 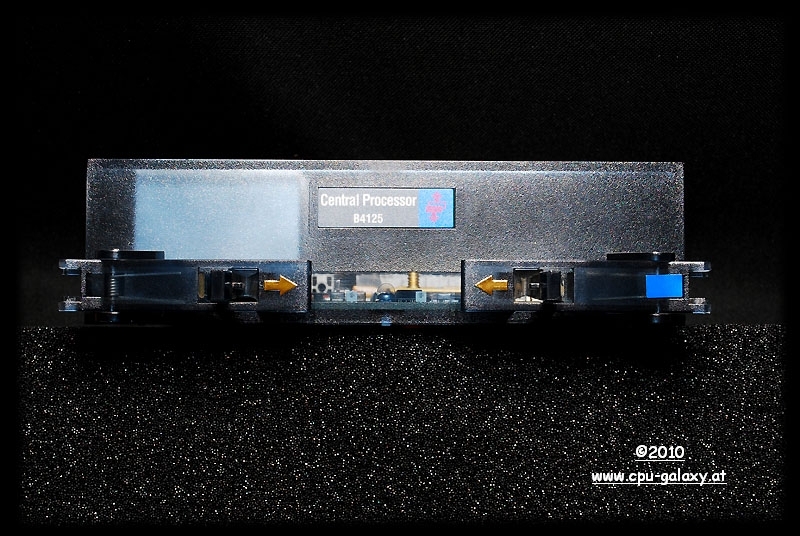 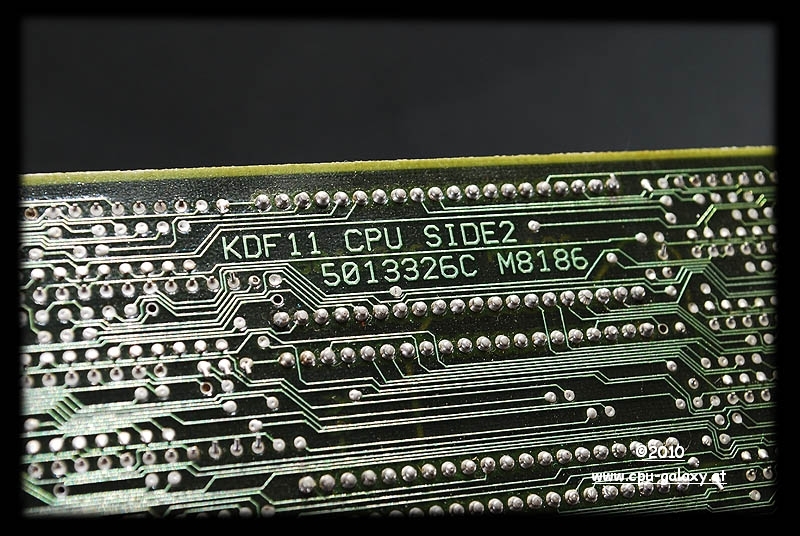 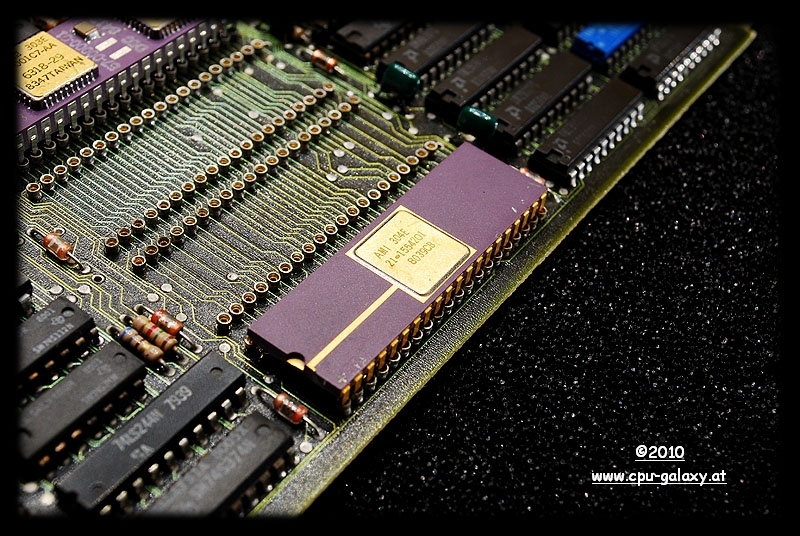 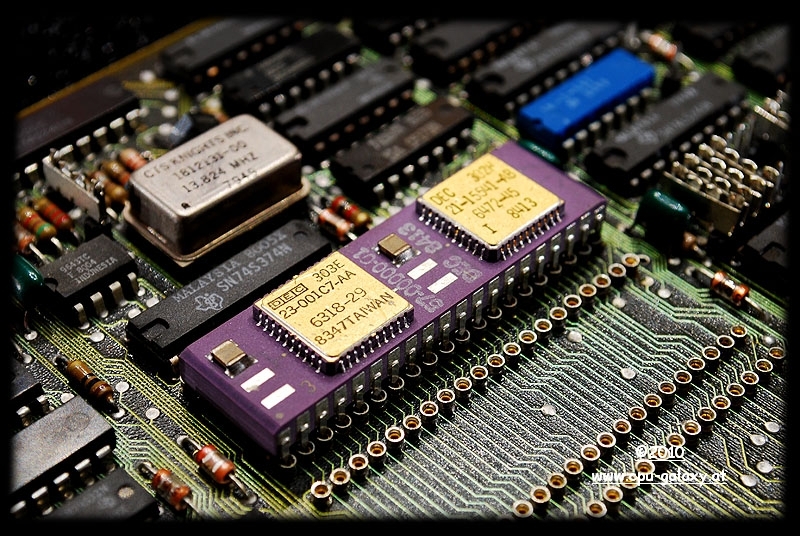 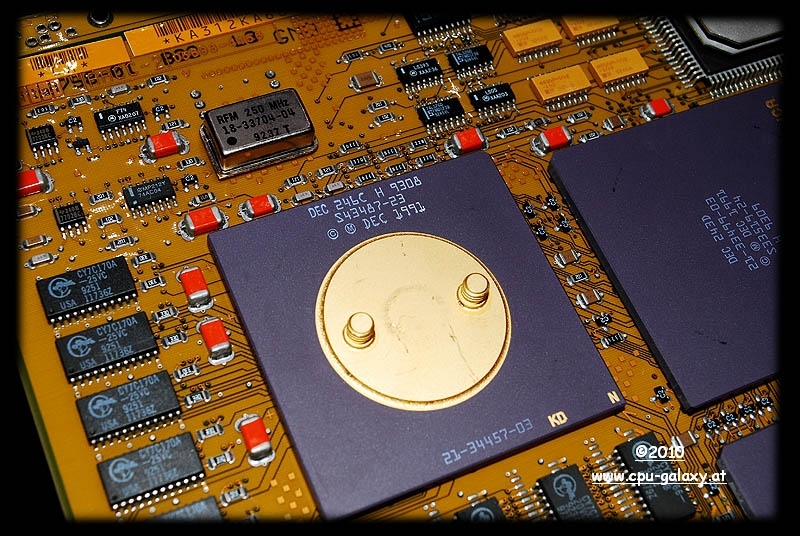 The J-11 is a multi-chip microprocessor, consists of two separate base unit (Control Chip and Data Chip) and a possible third unit, the FPU (FPA Floating-Point Accelerator). 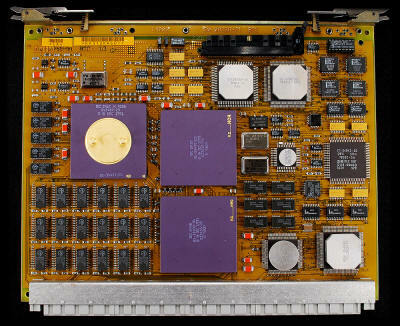 DC334: data chip (DC), 40K transistors, Harris "D4-6900-5"
DC335: control chip (CC), 80K transistors, Harris "D4-6901-5"
DC334 + DC335 = dual-chip ceramic module DEC "DCJ11-AC 57-19400-09"
DC321: floating-point unit (FPA), 34K transistors, DEC "21-21858-08"
DC351: DMA controller gate array, LSI Logic L1A0305, "21-22800-01"
8250/8350 (1986). 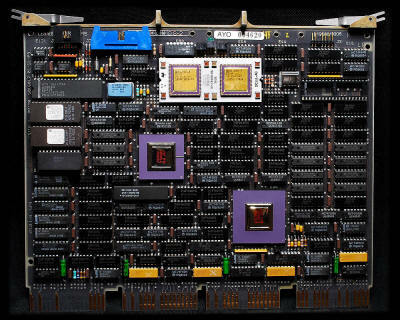 The V-11 was from a historical point of view the first implementation of the architecture in the form of microprocessor VLSI VAX. 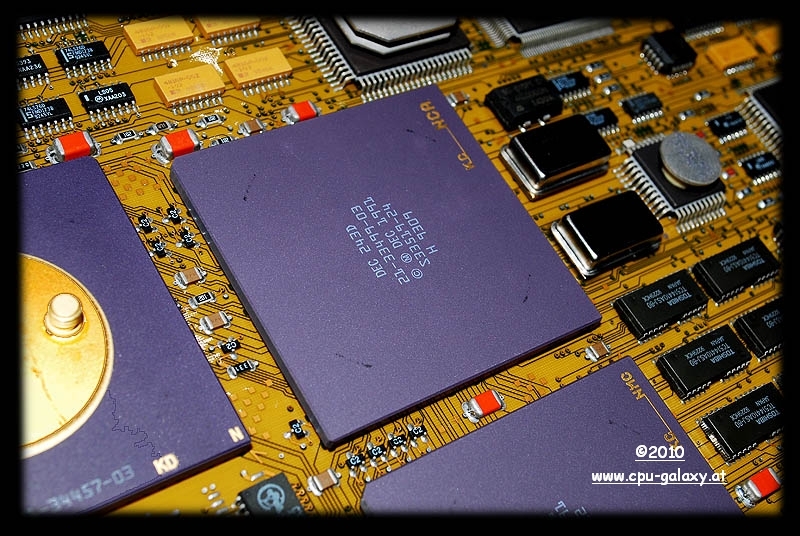 of VAX instructions with the use offewer possible clock cycles. 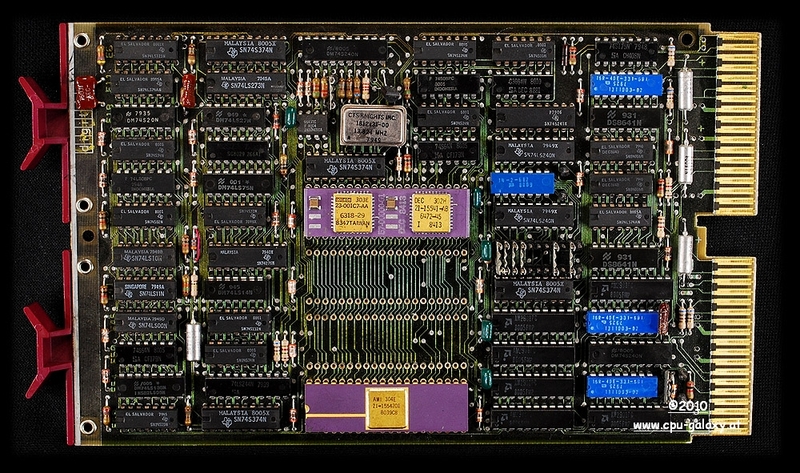 DC243: NDAL to CDAL I/O interface chip (NCA): "DEC 243C 21-33499-02"
DC244: Main Memory Controller (NMC): "DEC 244B 21-33500-01"
DC527: Q22 bus interface controller (CQBIC): "21-25972-02"
DC541: Ethernet Interface (SGEC): "21-28059-03"
DC542: DSSI interface (SHAC): "21-27667-02"
DC511: System support chip (SSC): "DEC 78332-GA 511H 21-24942-03"
DC509: clock chip (CC): "21-24673-02"
card contains the DEC chipset 21072.